Reports suggest that a new, more powerful, version of Nintendo Switch is in the early stages of development, but won’t be ready anytime soon. A report in the Wall Street Journal suggests that Nintendo will shake up the console market this summer with unveiling of two new models of Nintendo Switch. Nintendo released some interesting statistics about their work culture, including information on average earnings of employees and their working hours. During a Nintendo Direct livestream today the company announced two brand new titles in the mainline Pokemon game series, Pokemon Sword, and Pokemon Shield. Nintendo held a livestream Nintendo Direct during which they announced a total of 31 games in 35 minutes. 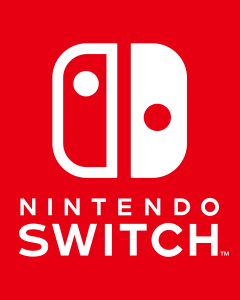 Nintendo have revealed that they plan to “boost the appeal” of Switch Online after the news that many subscribers only prepared to commit to short term contracts. Nintendo have announced that they’ve revised their target for total Nintendo Switch sales, but are confident that revenues won’t suffer as a result. Nintendo President Shuntaro Furukawa has stated that his company do not plan to cut the retail price of the Nintendo Switch in 2019. After an incredibly successful launch, Super Smash Bros Ultimate looks to have sold around 5 million copies during its first week on sale.